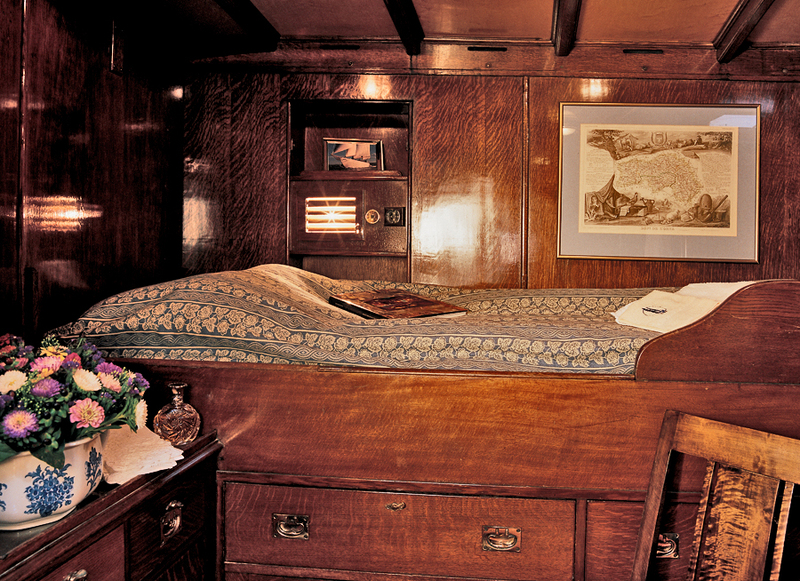 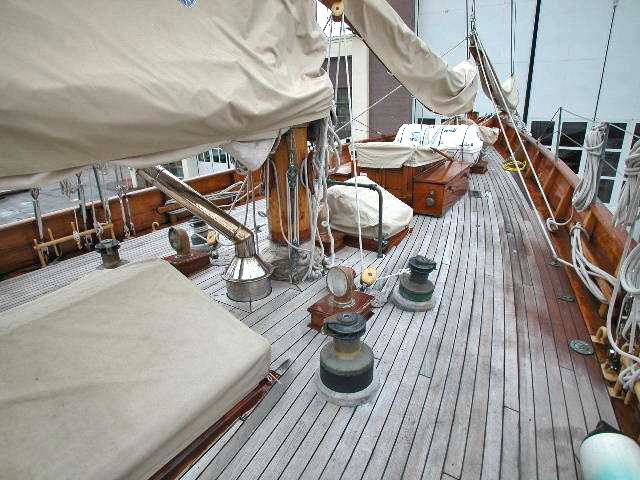 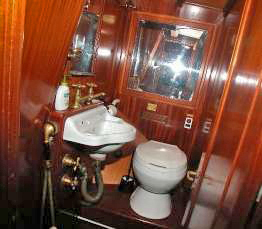 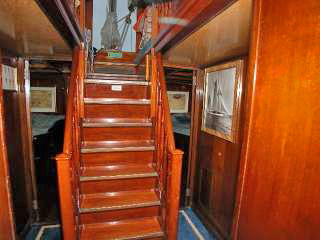 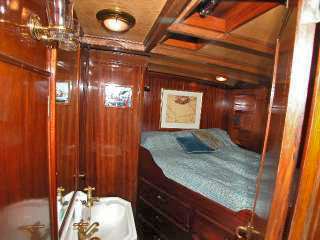 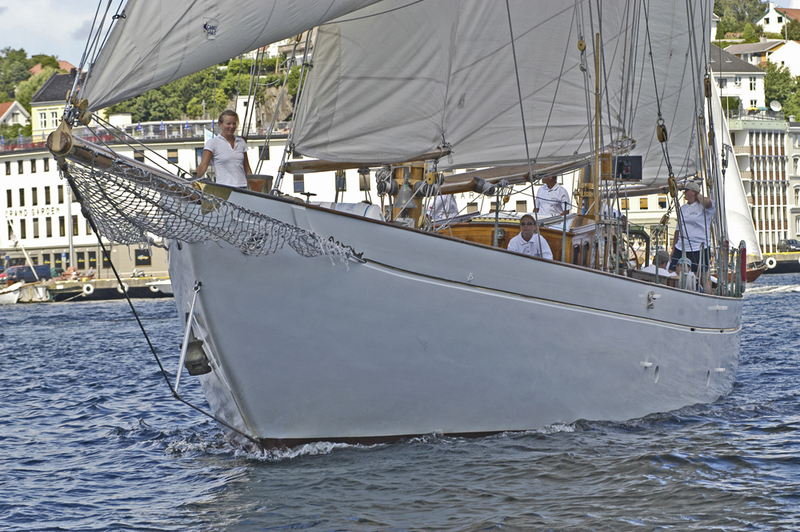 For a truly authentic classic yachting experience straight out of the 1930's. 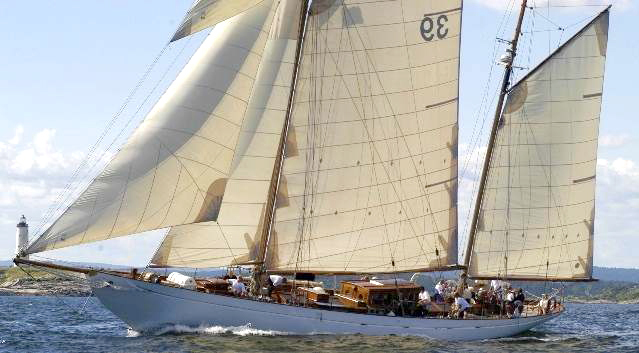 "Eileen II" is more than a fjord cruise, she offers the world's most exclusive meeting rooms, with the finest menus and the best wine, coupled with amazing sailing. 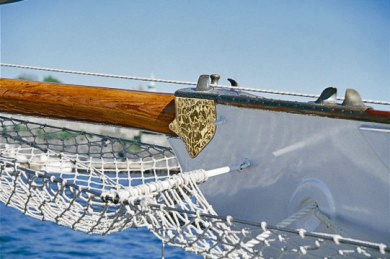 No other 1930's yacht is more original - you are truly stepping back in time with this fantastic yacht of 80 tons and more than 300 sqm of sails! 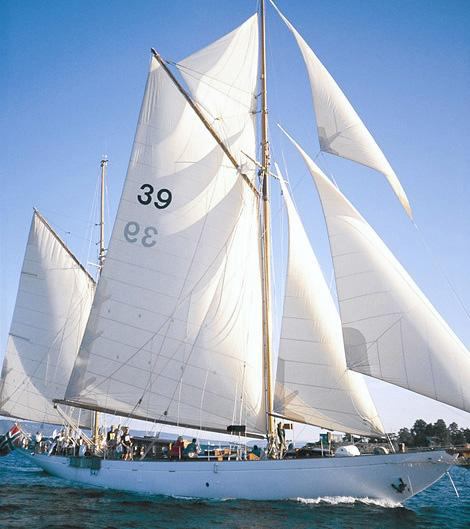 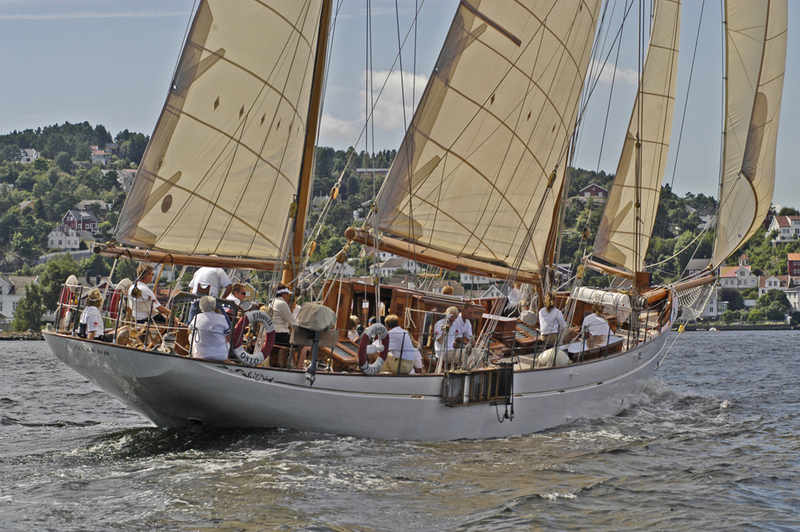 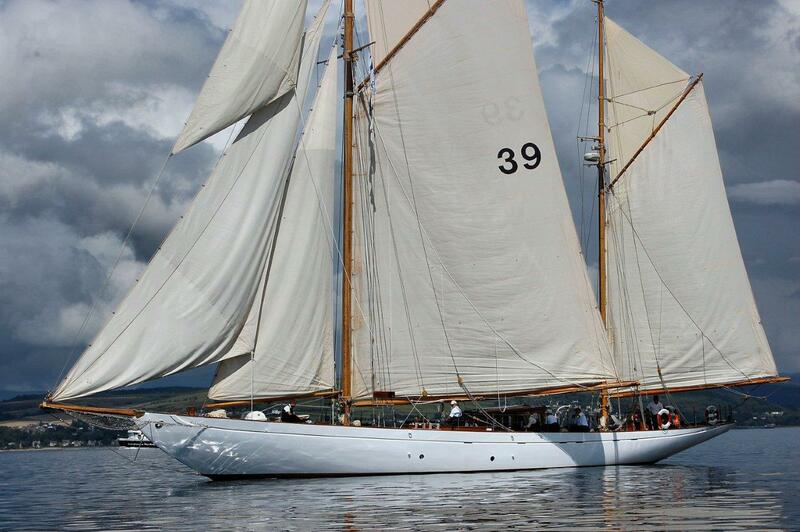 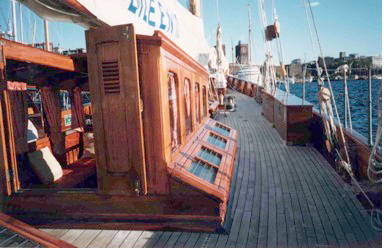 Sailing in this epitome of yachting elegance on our beautiful Oslofjord will be appreciated and remembered! 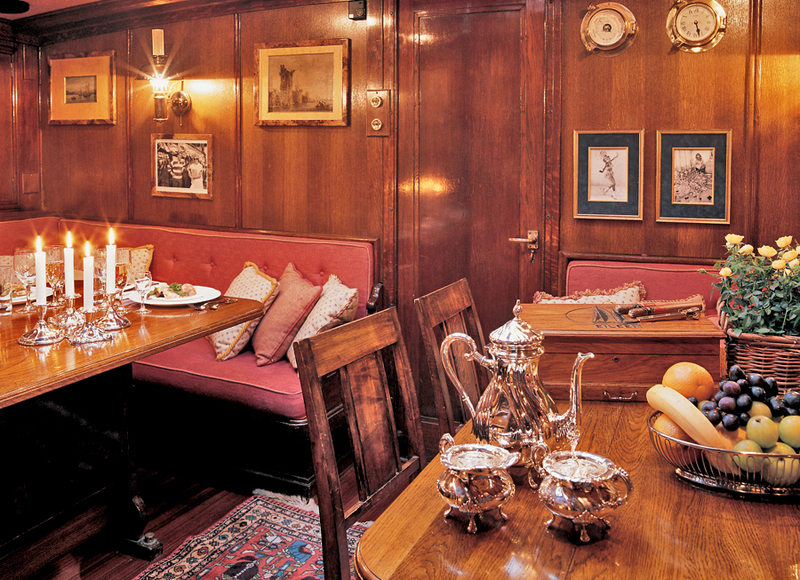 We experience true enthusiasm from the guests when they come sailing, assisted of course by an aperitif on the deck, and then they come to the beautifully covered table in the lounge. 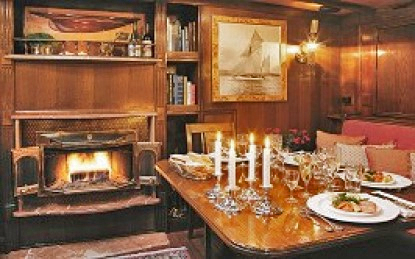 Don't worry if the weather is a little cool - there is a real fireplace to warm you up! 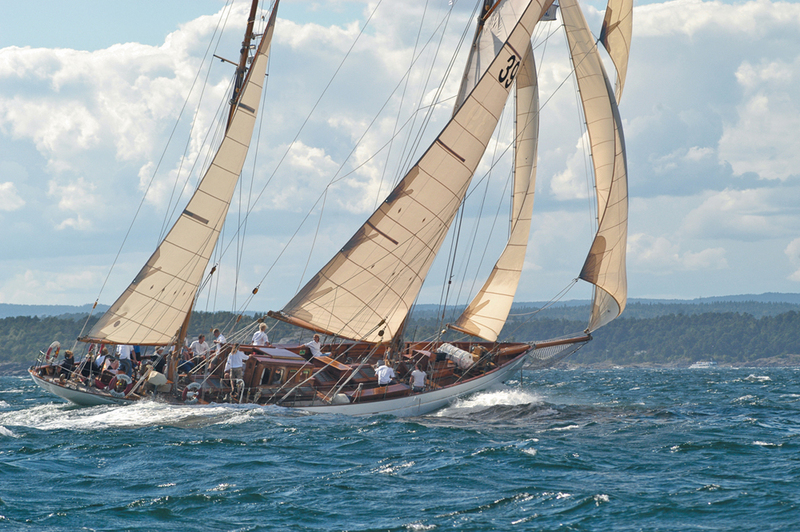 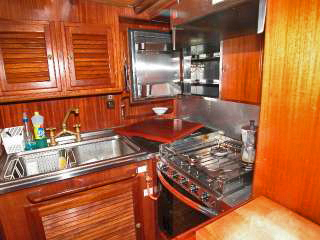 For more information contact Norway Yacht Charter, or check out the facebook page here.